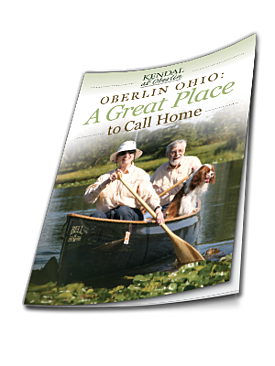 Find Out Everything That Oberlin, Ohio Has to Offer! In real estate, they say to find the best home it is location, location, location! When you decide to live in Oberlin, Ohio you have decided to live wisely in a community that offers art, culture, fine dining, and shopping. Whether you live in a comfy cottage at Kendal or in your home, you will love all the intergenerational opportunities.